Susan Anderson specializes in writing about African American history, politics, and culture, with an emphasis on California and Los Angeles. 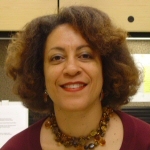 Since 1999 she has been a contributor to the Los Angeles Times Sunday Opinion. Her articles and essays have appeared in The Nation, LA Weekly, LA Architect, Mother Jones, Quarterly Review of Black Literature and other publications. She is the author of "Rivers of Water in a Dry Place: Early Black Participation in California Politics," in Racial and Ethnic Politics in California published by the Institute of Governmental Studies, University of California, and; "A City Called Heaven: Black Enchantment and Despair in Los Angeles," in The City: Los Angeles and Urban Theory at the End of the Twentieth Century, edited by Allen J. Scott and Edward W. Soja, University of California Press. She was the 2006 Lois Langland Alumna-in-Residence at Scripps College, Claremont, California, where she shared her research on the all-black independent town of Allensworth. Two of her public talks can be heard or downloaded from www.scrippscollege.edu/sounds .